Ron and Maggie Tear Photography: Decay. 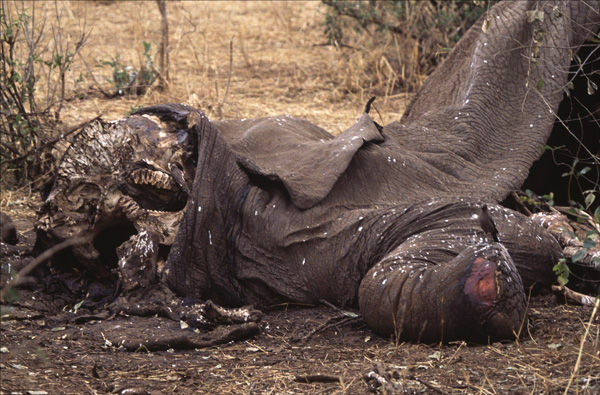 Very much a part of Africa, this Elephant presumebly died of natural causes. It is left to feed scavengers and eventually decay as all the biosphere works into this body mass. It had been dead some time the smell gave it away !